This region really has some magnetic power. Inhabited in antiquity by the Thracian tribe of tribals, they kept the secrets of the ruins of the pre-Roman period. Here on the ridge of Stara Planina passes the border between the provinces Coastal and Inland Dacia. On these lands Emperor Justinian built many fortresses between 527 and 565. In almost every ruin in this area, are found objects from Thracian, Roman and Byzantine times. 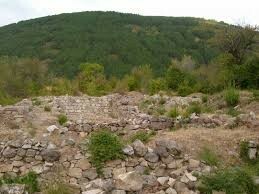 The first settlement founded by the Thracians, was in the place „Gradishte“, high in the mountains. Later it went down lower, into the place we know today as, „Staro Selo“ and initiated the beginning of Svoge. More about the people in this region are known from the time of Ottoman rule. Fleeing from proximity to the Turkish administrative centres, migrants sought shelter in inaccessible mountain gorges. So gradually the population in our area increased. After the Liberation of Bulgaria the main occupation of the people of the area was primitive agriculture, livestock and logging. 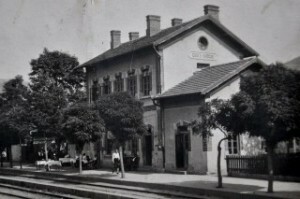 In the late nineteenth century, after the building of the Sofia-Roman railway line, Svoge became a railway station and around it a village formed. Local and newcomers settled near the train station, looking for a better life and livelihood. With its better economic and strategic positions Svoge became the administrative centre of the region, as is thus far.